Astryan has undertaken many prestigious and some unusual projects. 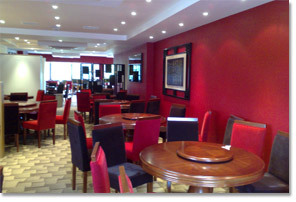 They vary between new work and refurbishment for Hotel Groups as well as small Private Enterprises. Astryans most recent project has been the redecoration of the Theatre Royal Newcastle as part of its £5m renovation. 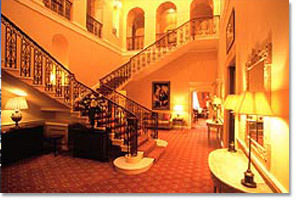 This included hanging specialist wallpapers, carrying out special metal effects, marbling and intricate golf leaf. A prestigious project carried out by Tolent Construction. This contract entailed the hanging of expensive Silk Wall Coverings and decoration to various suites, bedrooms, swimming pool and spa areas.. 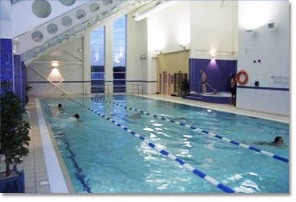 Specialist coatings were used on the steelwork, ceilings and walls to protect from chemicals in the water e.g Chlorine. 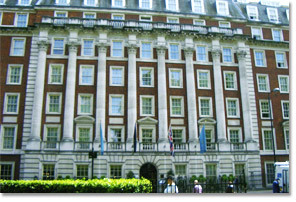 External decoration was carried out at this prestigious hotel in Central London. A new build project which was decorated by Astryan throughout with various paint types used in the pool and spa areas, changing and exercise rooms. 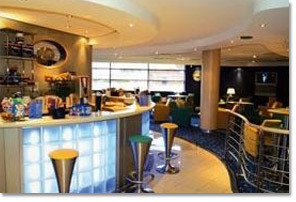 Wide Vinyl wall coverings were applied in the bar area to give a high class finish. 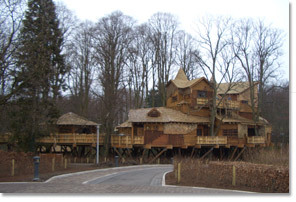 A very exciting and innovative project for the Duchess of Northumberland at Alnwick Gardens, where Stains and diluted Emulsions were used extensively internally and externally to the timber to give an outstanding finish which helped the tree house blend into its surroundings. Astryan was nominated for an award for the quality of the decoration on this project.